Just curious, but did you compare these to the toys available of the male characters, both in number of choices and the amount made? 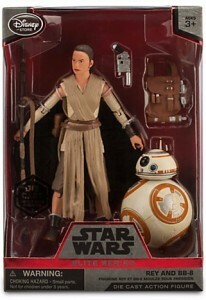 The point of the #whereisrey tag isn’t that there are NO Rey figures but that for a main character there are very few made as well as she is noticeably cut out of toy sets where she should be included like the millennium falcon or a multi figure set. There are Black Widow figures out there too, if I’m able to spend $200 or able to convince my son that a 1″ posed figure goes great with his set of 9″ moveable figures of the rest of the Avengers team. I know what it’s about. However, this comes down to a few things. First, marketing. It’s a simple fact that more action figures are bought for boys than girls. These numbers haven’t suddenly changed overnight. On top of that, the fact that the Millennium Falcon set doesn’t come with Rey included is a tactic to get you to spend a bit more money. 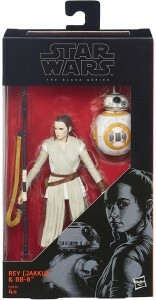 The toy companies know that you’ll want to pair Rey with the Falcon once you’ve seen the movie, so they’ve made Rey available to purchase separately. The same thing has been happening constantly with the Disney Infinity lines. They include characters with the play sets that you may or may not purchase separately, and the characters that you might want more are sold separately. 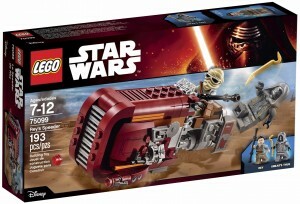 With regard to the Millennium Falcon, though, the LEGO version does include Rey. This is because they don’t often sell LEGO minifigures separately. This is evidence enough that the Millennium Falcon toy set doesn’t include Rey because they want people to buy her separately. 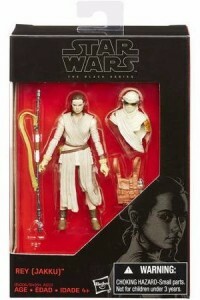 Second, the line of 9″ moveable figures? 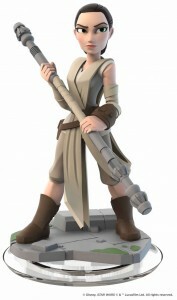 It’s not the same, but LEGO makes a 9″ Rey Buildable Figure. Not sure where your $200 number comes from, with regard to the Avengers. Are you saying that Black Widow alone costs $200? 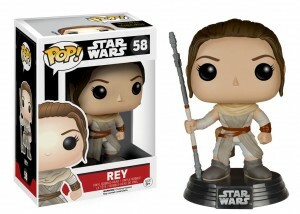 Third, Rey’s on all sorts of marketing merch, and she’s front and center. I’ve got cups, blankets, and more with Rey featured. There are costumes, posters and wall art with her featured prominently. 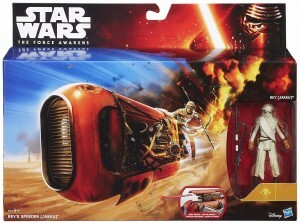 I’ll conclude by saying this: I do understand that there are some sets that don’t include Rey (that should). That set made by Target is the one. 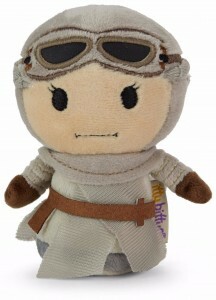 The Millennium Falcon isn’t because you can buy her separately (her popularity makes her hard to find, but I’ve found her at multiple stores). 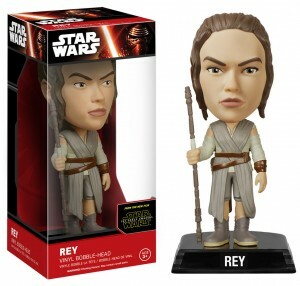 When I first heard about #WheresRey, it was people claiming that there were “Jar Jar Binks toys, but no Rey.” And they couldn’t seem to find Rey, and just wanted to argue about EVERY SINGLE TOY, claiming that Target told them they had never stocked Rey action figures. 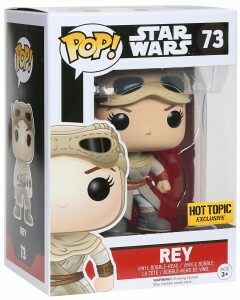 They wanted only to fight about how they couldn’t find Rey, even though she’d been available in multiple variations released since September 4, 2015. If you want to create change, the best way to do it is to do so with your dollar. Don’t buy the 9″ action figure set and instead buy only the 3.75″ figures. Buy the 6″ figures. 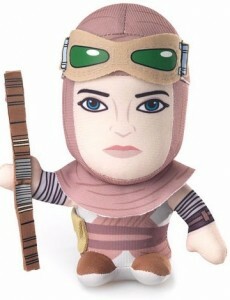 Buy all the Rey that you can find. I agree with Josb completely! 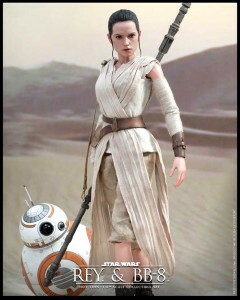 Yes, you can find Rey action figures in theory but it is not easy and she is the star of the movie! 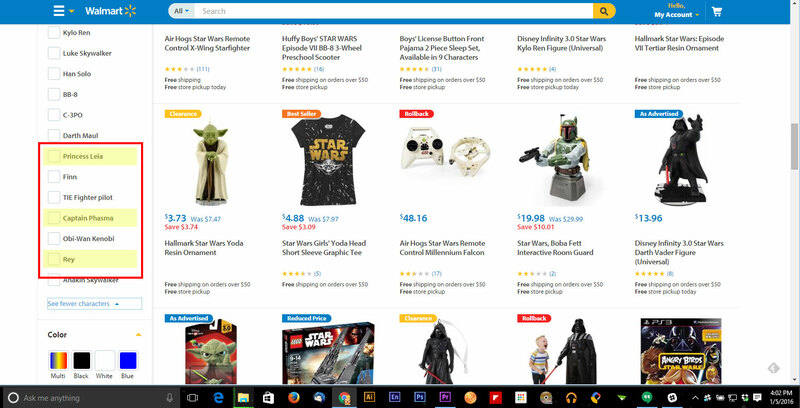 WalMart and Target should be overflowing with Rey 3.75″ action figures but they are sold out overwhelmingly online and at the stores. You know where you can find them? EBAY – they are selling at 4x or more what the MSRP is. 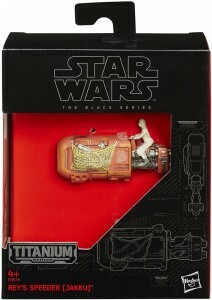 So retailers and Hasbro are losing money and some middle men are benefitting. How can this be good business. It has Princess Leia, Captain Phasma AND Rey. All three, strong female characters in Star Wars. 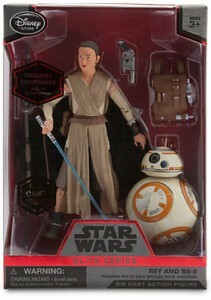 I’ve seen Rey many times on the shelves. The thing is, you’re correct: She’s selling out EVERYWHERE. FAST. And every time I’d seen her on the shelf, she’d be gone the next time I went by that section. Meeting demand is proving difficult. The reason you’re seeing a lot of the other characters still on shelves is likely due to popularity. 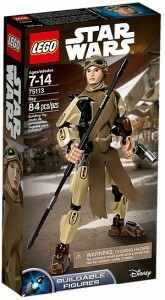 The seem to have a lot of other characters sitting on shelves at the moment… a droid and Constable Zuvio. Why? Because they either weren’t in the movie or prominently displayed in the movie. It’s not because they made any more or less of the characters, it’s because kids don’t recognize the characters or their parents don’t. 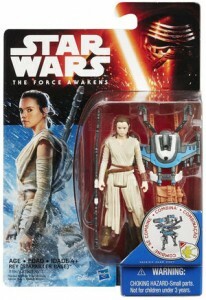 Rey (among other characters) is hard to find, but you can believe that Hasbro and others are doing whatever they can to get more of Rey on to toy shelves. They had to hold back on many Rey action figures and toys because of key plot points in the film that she’s involved with. They didn’t want to give things away too early (and were under an embargo from revealing too much information about her character). According to Hasbro, Rey’s becoming involved in the Resistance wasn’t meant to be revealed. Her alliances weren’t even revealed by the trailers. We could guess where she’d end up, but they wanted the question to still be there.